This book focuses on Shine, a musical performance about how energy, humanity, and climate are interrelated. Weaving together climate science and artistic expression, it results in a funny and powerful story spanning 300 million years. The first half is professionally scripted, composed, and choreographed to convey how our use of fossil fuels is impacting our climate. The second half - our future story - is authored by local youth to generate solutions for their city's resilience. In rehearsing the musical, participants themselves embody aspects of climate science and human development. Ultimately, it demonstrates that performance can be a dynamic tool for youth to contribute to their community's resilience. Educators can use this book to guide youth in creative expression based on (or inspired by) Shine. Included are the script, links to the music and video of the performance, materials for building curricula, interviews with collaborators, and lessons learned along Shine's year-long international tour. 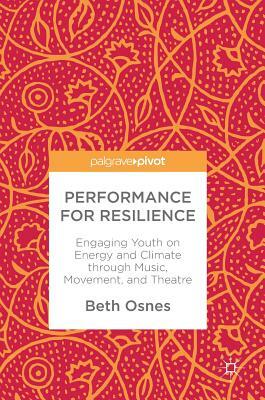 Beth Osnes is Associate Professor of Theatre and Environmental Studies at the University of Colorado. She is co-director of Inside the Greenhouse, a CU initiative for creative climate communication, author of Theatre for Women's Participation in Sustainable Development, and is featured in the award-winning documentary Mother: Caring for 7 Billion.